Attorney McShane is a trial attorney who specializes in using forensic science in defending citizens amongst us who have been accused by the Government. 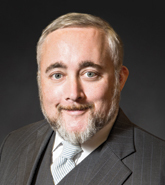 He is nationally known and well regarded for being a skilled and fierce litigator, but is also well known for his strong understanding and in-depth knowledge in all forms of forensic science. He earned the American Chemical Society-Chemistry and the Law Division (ACS-CHAL) designation as Forensic Lawyer Scientist. He is a litigating attorney for the Pennsylvania Innocence Project. He has earned Board Certification both in DUI Defense Law by the National College for DUI Defense (NCDD) (the first and only Pennsylvania Lawyer to do so and also was the youngest person in the United States ever to be so certified) and as a Criminal Trial Advocate by the National Board of Trial Advocacy, a Pennsylvania Supreme Court Approved Agency. He has also earned certification in Forensic Sobriety Assessment, the first attorney to do so in the nation. He is a Sustaining Member, and the State Delegate National Coordinator with the NCDD. He is the 2012 NCDD Dean’s Award recipient. He has been named as Faculty for the NCDD. He received the 2012 Pennsylvania Association for Drunk Driving Defense Attorneys (PADDDA) Outstanding Achievement Award. He is a charter member of DUI Defense Lawyers Association (DUIDLA). He is a frequent invited guest lecturer at international, national, state and local seminars that are attended by prosecutors, police, investigators, lawyers, judges, academics, scientists, machine manufacturers, and policy-makers. He has lectured at the American Chemical Society (ACS) National meeting eight times and has presented four times at the 2011, 2012, 2013 and 2014 American Academy for Forensic Science (AAFS) national meetings. He was named a Fellow with the American Institute of Chemists. The ACS has named him a Senior Assistant Chromatography Instructor. He serves as the co-chairman of the Forensic Science section of the ACS-Chemistry and the Law Division. In 2013, he was named to The National Trial Layers Top 100 list. He is the Chairman/CEO of The McShane Firm, LLC, a seven attorney criminal defense and DUI law firm.